The main attractions you find surrounding the lake are the boat races and boat pageantry organized as a part of Summer Festival in Ooty. With the mountain railway running through one of its banks, the Ooty lake is among the most beautiful and picturesque lakes that you will come across in South India. The lake also has a boat house attached to it which makes boating one of the prime time attractions of the lake throughout the year. You also find a lot of shops selling local items like eucalyptus oils and shawls at competitive prices around the lake. Over the years, the lake has been plagued by a lot of problems like the unchecked growth of weeds and the growing pollution due to people dumping the waste in the lake. Though the government "seems" to be taking active steps, all of them fall short of being successful. 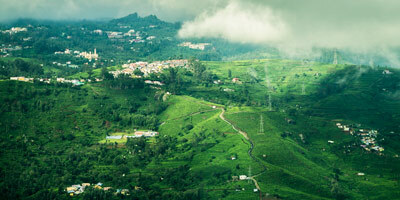 To conclude, Ooty Lake is one place which you cannot miss while you are there in Ooty.